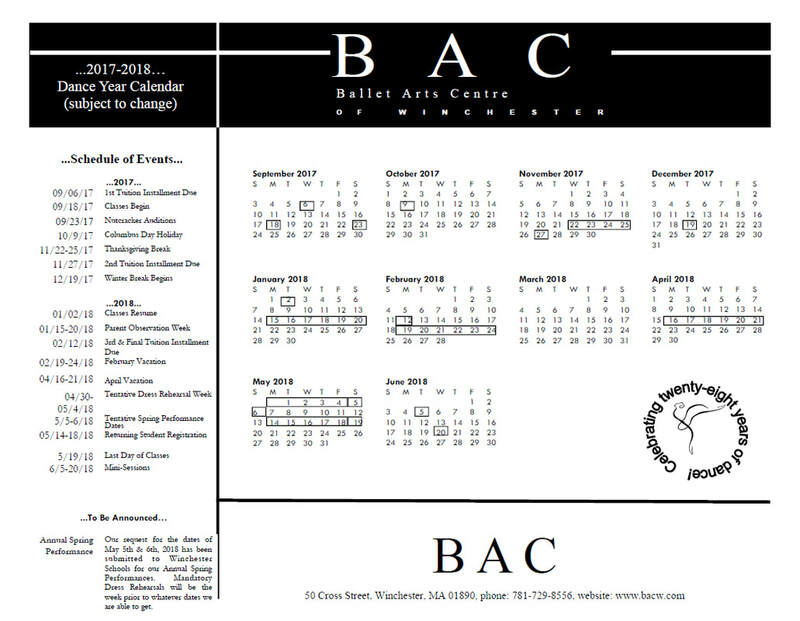 Holiday/Event Calendar 2017-2018 - Ballet Arts Centre of Winchester, Inc. The 2018 Annual Spring Performance will take place on Saturday and Sunday, May 5th & 6th, 2018 at 1:00 p.m. and 6:30 p.m. each day at McCall Middle School in Winchester. ​ Mandatory Dress Rehearsals will be the week prior.